麵Sato拉麵是 2017 新開幕台北拉麵店, 是少數台北淡麗系拉麵, 麵Sato拉麵深受建國北路附近上班族的喜愛. 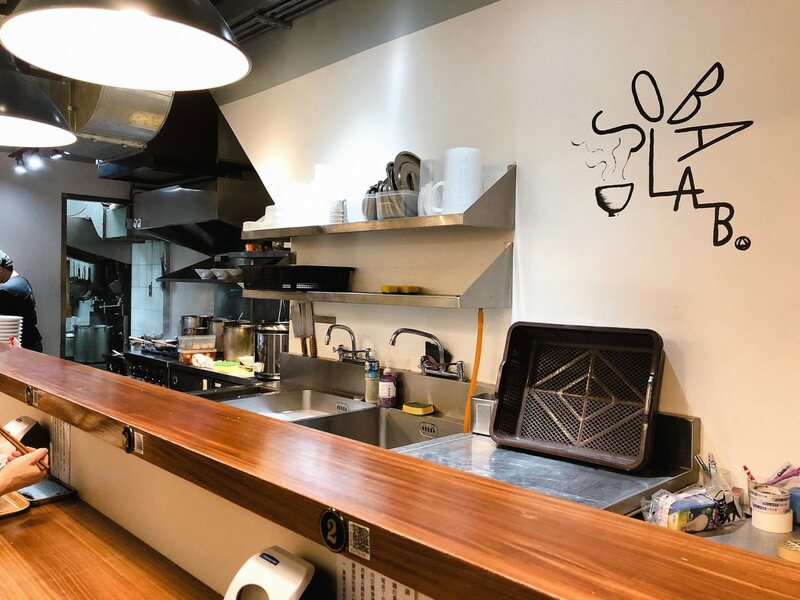 Sato Ramen is a 2017 Newly-opened Taipei Ramen Shop. 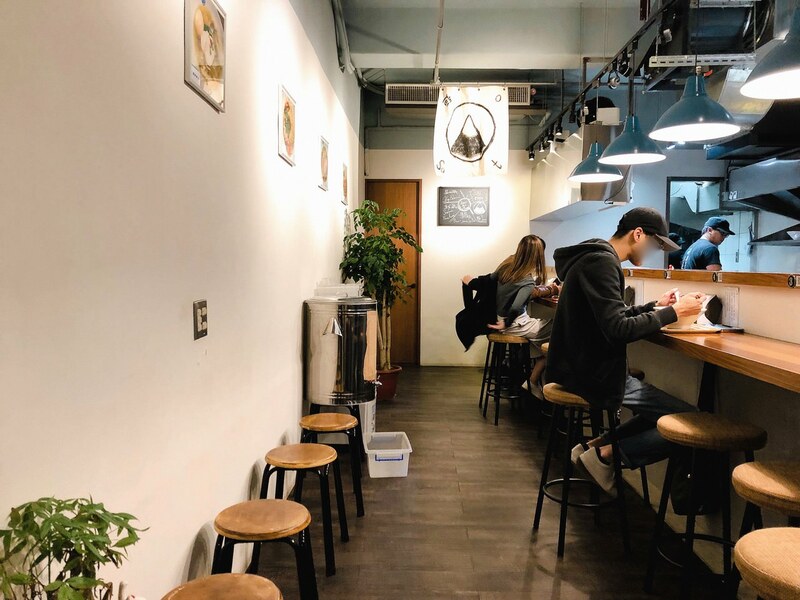 It is quite popular during dining time near Zhongshan Junior High School MRT station. 麵 Sato 介於中山國中捷運站和南京復興捷運站中間, 若從中山國中站出來延著復興北路抵達興安街口, 轉進巷弄內會先看到 “家鴻燒鵝”, 若是松江南京站附近上班族, 可直接走到建國北路再轉進興安街即可. 結論是不管是哪個捷運站都需要花大約都需步行15分鐘才會到麵 Sato. 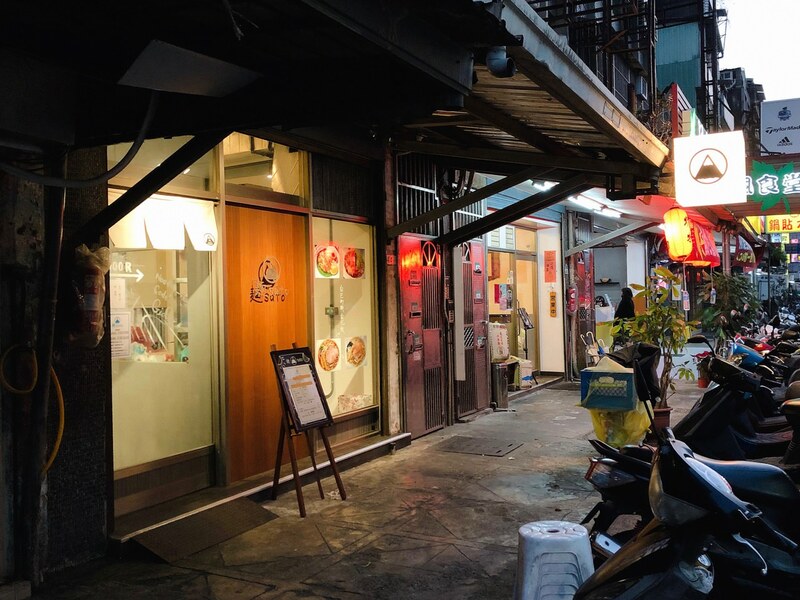 Sato Ramen Shop is located in between Zhongshan Junior High School MRT station and Nanking Fuxing MRT station. However, the walking distance would take about 15 minutes to arrive at Sato Ramen. 麵 Sato 文青系招牌和裝潢在興安街上顯得格格不入, 門外放著拉麵菜單與價格, 從門外的玻璃窗可看到 麵 Sato 與 “霸嗎拉麵”一樣皆是自製拉麵條. 點麵機器與 “麵屋壹慶” 有點相似, 只是需要自備 NTD $100 鈔票, 若只有大鈔則需要與店員換錢. 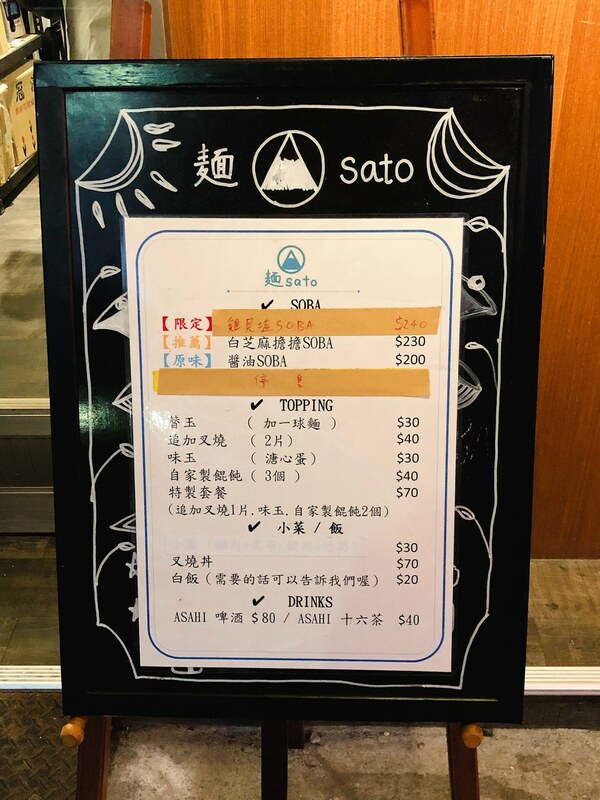 點完後將卷交給店員, 麵 Sato 座位不多, 可將物品掛在桌下的掛勾. The restaurant shop appearance is quite outstanding among other restaurants at the same street. 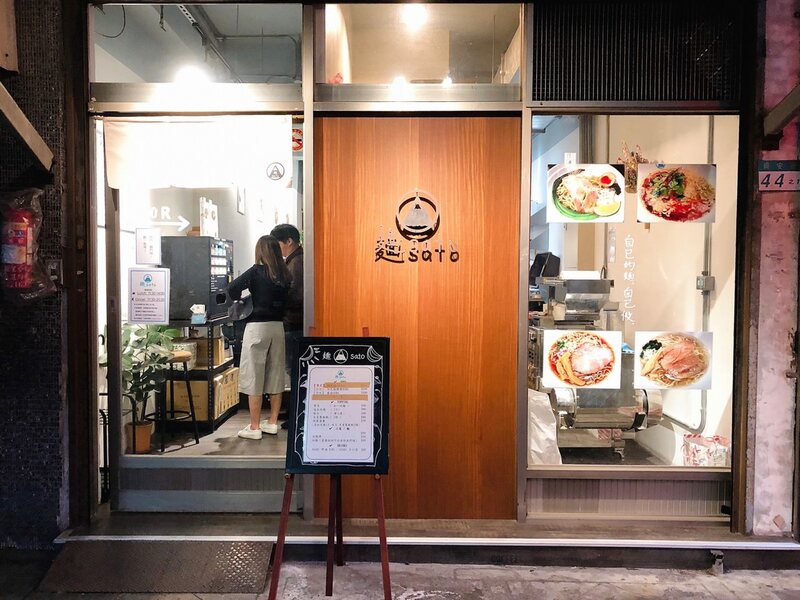 Same as “Taipei BARI-UMA Ramen”, Sato Ramen makes their own ramen noodles. 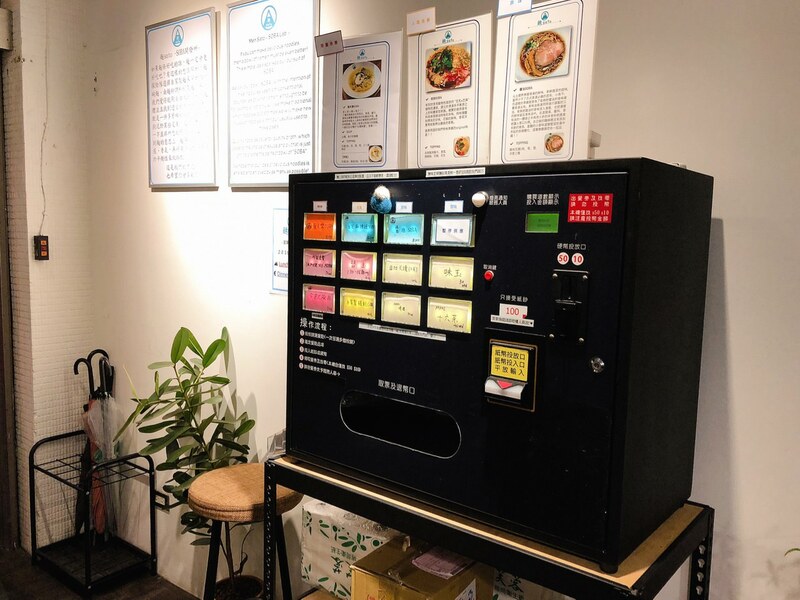 The ordering machine is a bit similar with “Ichi Ramen”. However, you would need to prepare NTD $100 cash. 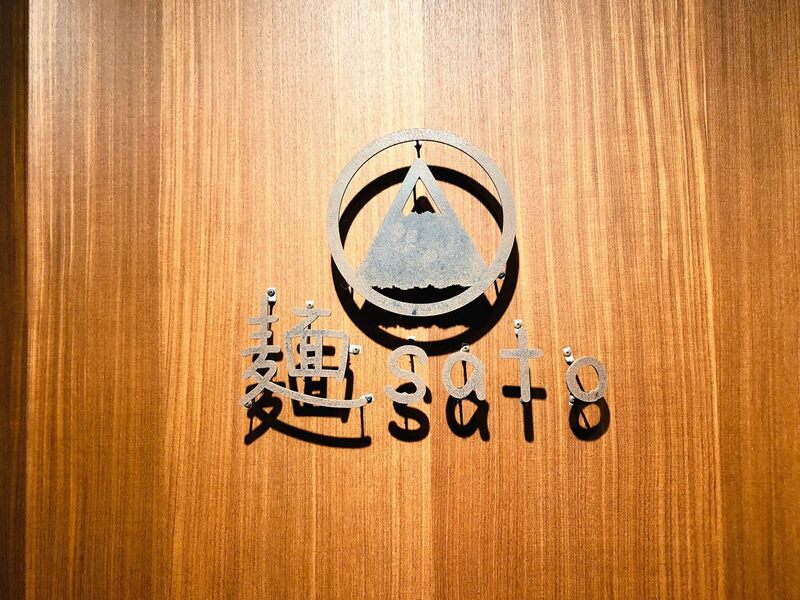 Also, there aren’t much seats in the Sato Ramen restaurant. 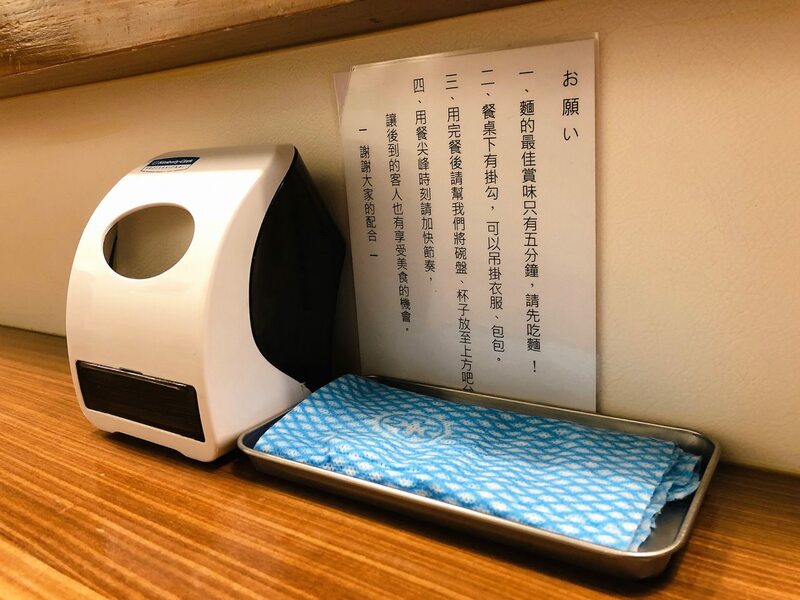 我點雞貝鹽拉麵 ( NTD $240) 再加點味玉 (NTD $30), 點後再交卷給麵 Sato 店員時, 我跟店員說 “麵硬, 其他正常“. 最引人注目的莫過於金黃色湯頭表層有著少許油脂, 整體視覺相當清澈, 雖然麵 Sato跟 “麵屋真登” 一樣號稱淡麗系拉麵,第一口可感受到雞湯海味與蛤蜊海鮮風味並存, 兩者濃郁風味遠遠超過預期, 鹹度則是在我可接受範圍內.店家自製麵硬度佳, 湯汁吸附在麵條入口意猶未盡, 貝類並不是個個飽滿, 舒肥雞叉燒並沒有明顯肉味, 味玉蛋黃迷人, 對我來說, 湯頭才是這道拉麵的靈魂! 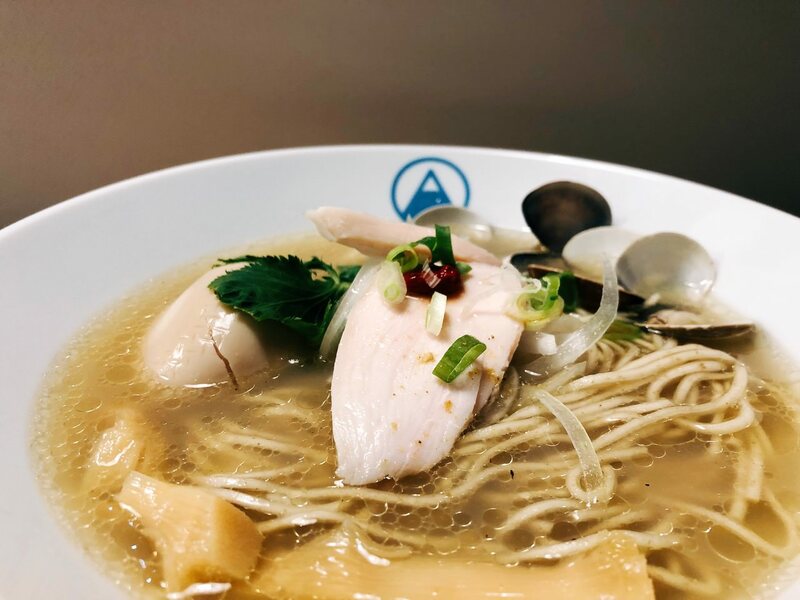 I ordered Ramen with Mixed Chicken and Clam Soup (NTD $240). I also order one half-boiled egg with extra NTD $30. 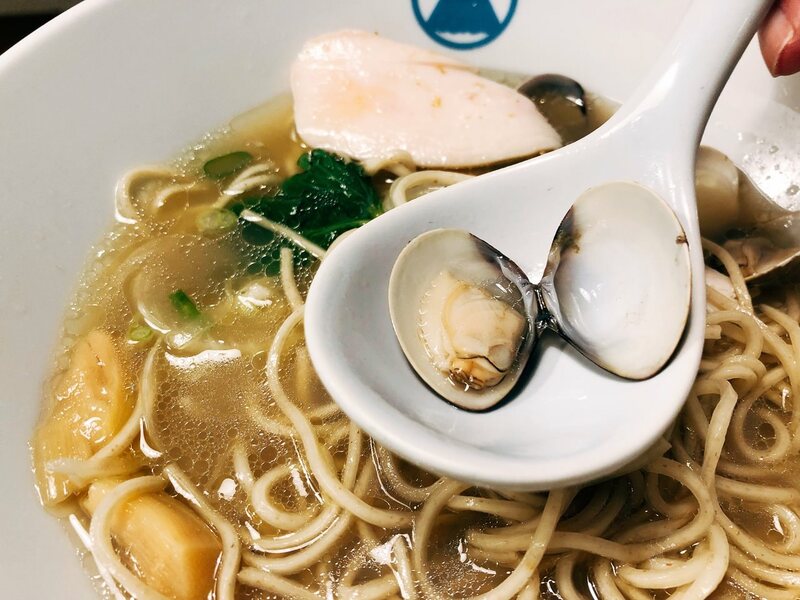 The ramen broth’s appearance has small amount of fats. 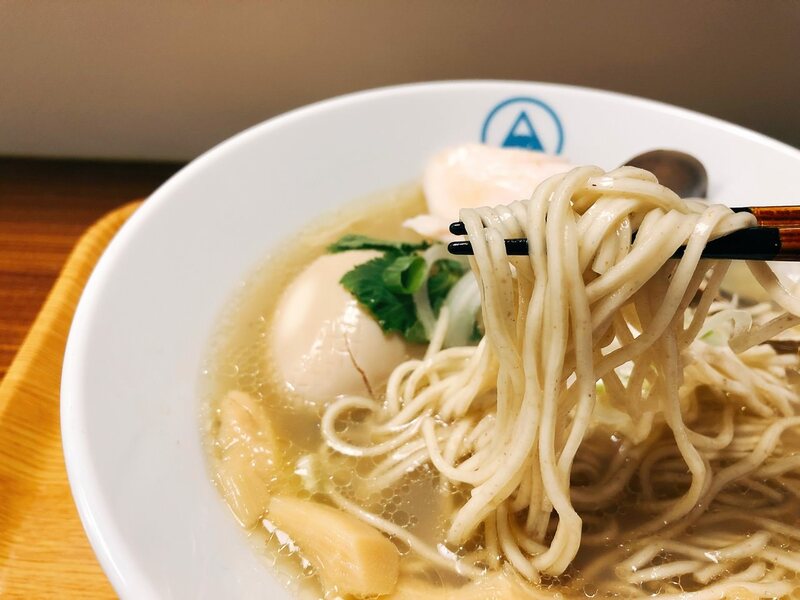 The clear broth is similar with “Menya Masato Ramen”. 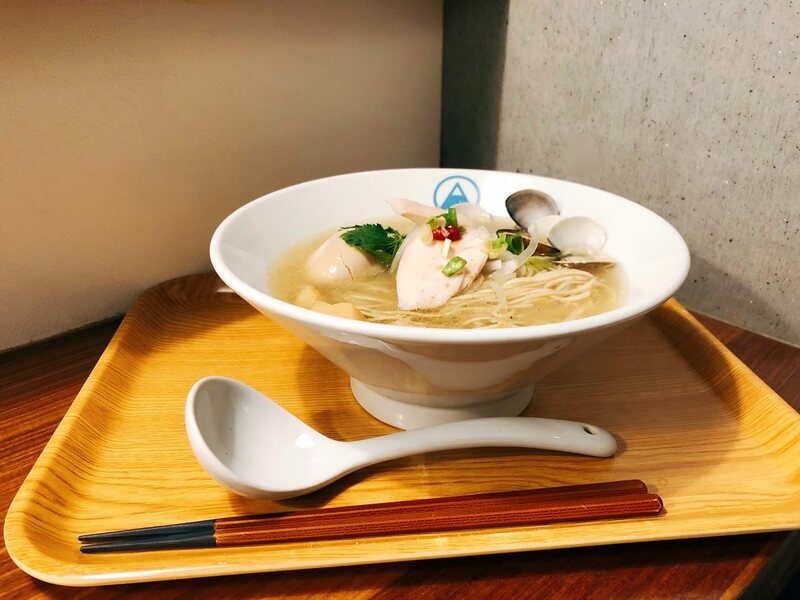 The broth tastes thick chicken soup flavor and seafood flavor. It is surprisingly balanced and a bit salty. 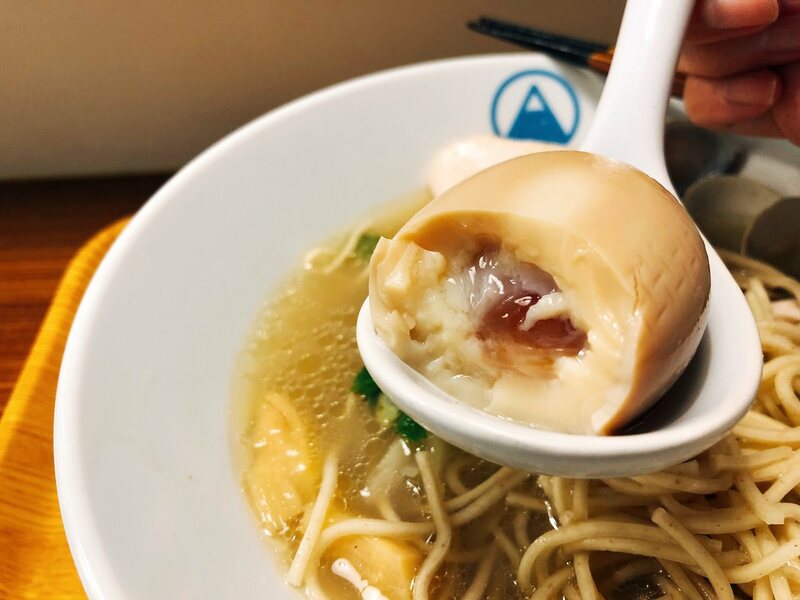 I like the firm level of the noodle and the half-boiled egg. Chicken doesn’t have much meaty flavor since it is sous vide. 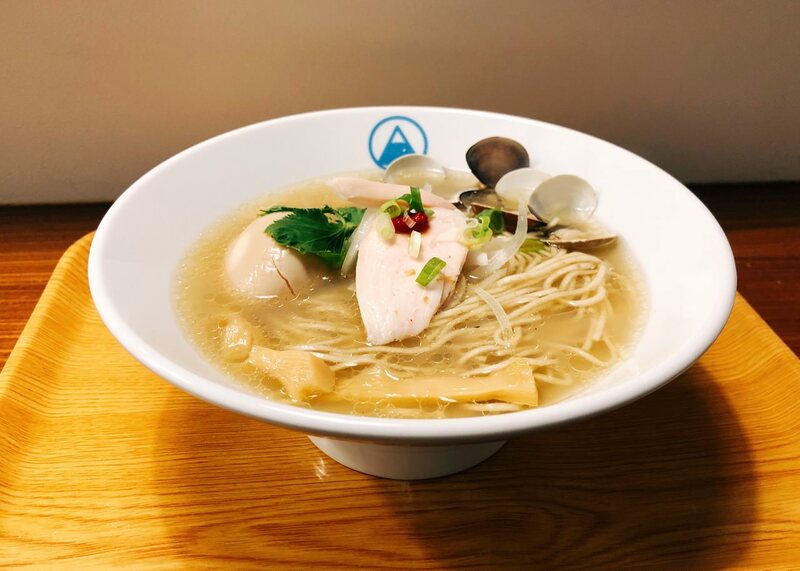 But, I would like to order again just because of its broth.